I reviewed SOtM’s master clock a few weeks ago and was pleasantly surprised by what a good master clock brings to the table. Both SOtM and Mutec master clocks seem to elevate the tonal color (less warm) but that’s the typical tradeoff for more resolution, transparency, etc. 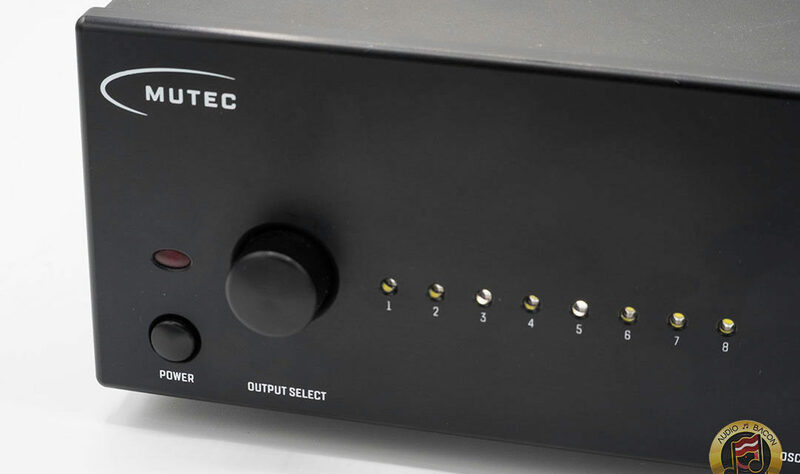 The Mutec does so to a lesser degree. The REF 10 comes off smoother, denser, and more melodic. 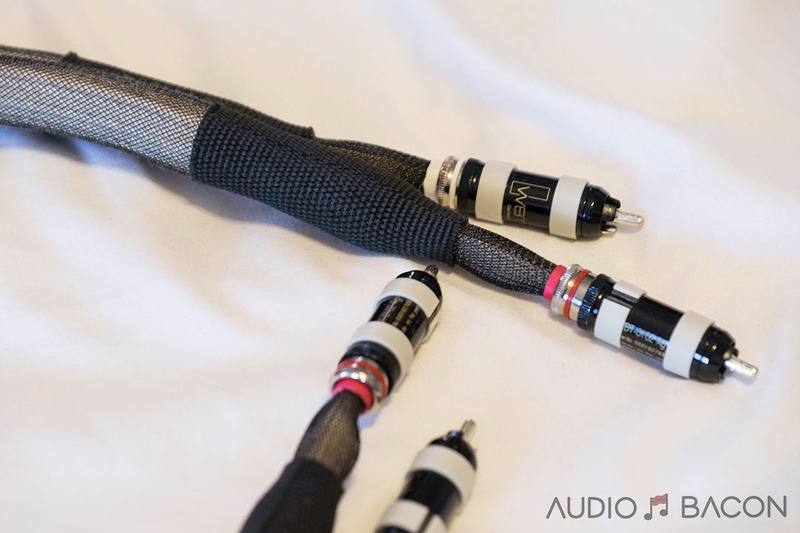 It has a sweeter upper-midrange and treble while being slightly more forward and full. There’s more contrast in the highlights – as opposed to being monotone and flat. The SOtM is seemingly quieter, more spacious, with much more energy in the upper octaves. It has more of an exuberant, detailed, and exciting sound while the REF 10 is more relaxed and euphoric. 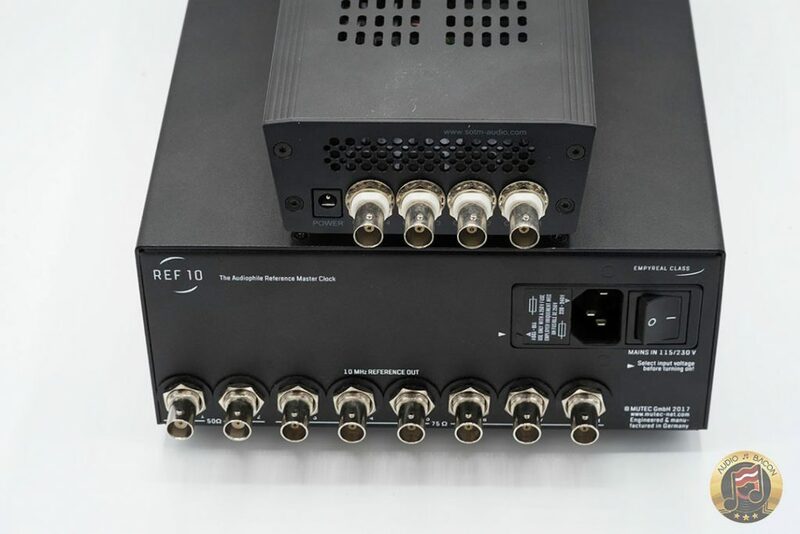 The REF 10 also has more pop and weight while the sCLK-OCX10 is more speedy and clean. 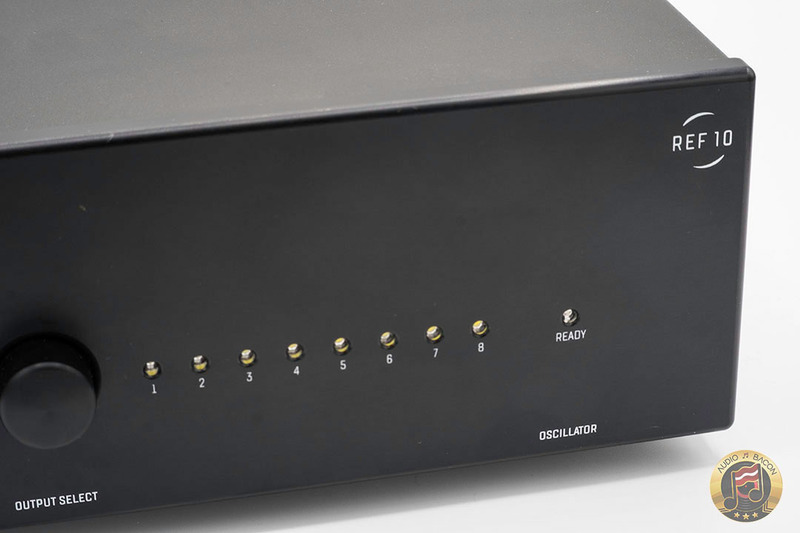 One thing to consider is that the Mutec REF 10 is priced about $500 USD more than the SOtM sCLK-OCX10 – but does come with an internal power supply. 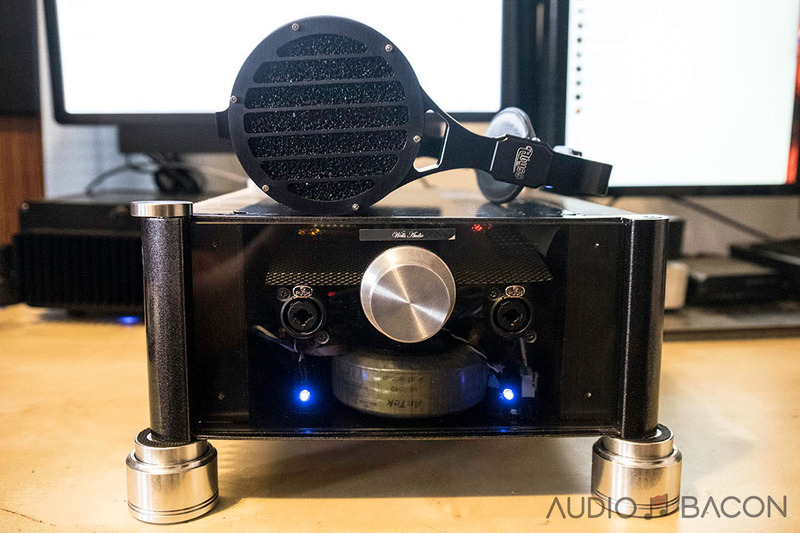 If you prefer soothing continuity with a more tangible and fuller sound, the Mutec would be my pick. If you want something with more hyper-presence and excitement – the SOtM is a better fit for you. Many are skeptical about an upstream word clock making a difference – since we’ll eventually have to use the clock at the D/A converter. Well, it does – and it isn’t subtle. 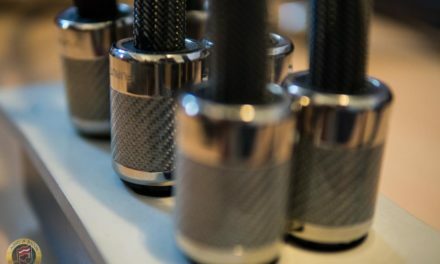 The smart audiophile realizes there’s still much to learn – and that it’s probably better to listen first and learn the science and engineering later. Especially after you’ve narrowed it down to something you enjoy listening to. The music immediately opens up, amazing depth, height, and room reach. The width seems to remain close to the same. An incredible atmosphere. Tonal contrast. There are more colors, weight, and textures all around. Much better separation (plenty of distance) and delineation – no matter how simple or complex, the music is always in focus. More sequential. The sound is more, for lack of a better word, chronological. It just flows with ease. Midrange gradations – voices sound so pure, so resolute, so real. Smoothness. There’s no brightness or edge in the music. No grain. No gaps. No blurring. Overall, just firms up the sound. Imaging. 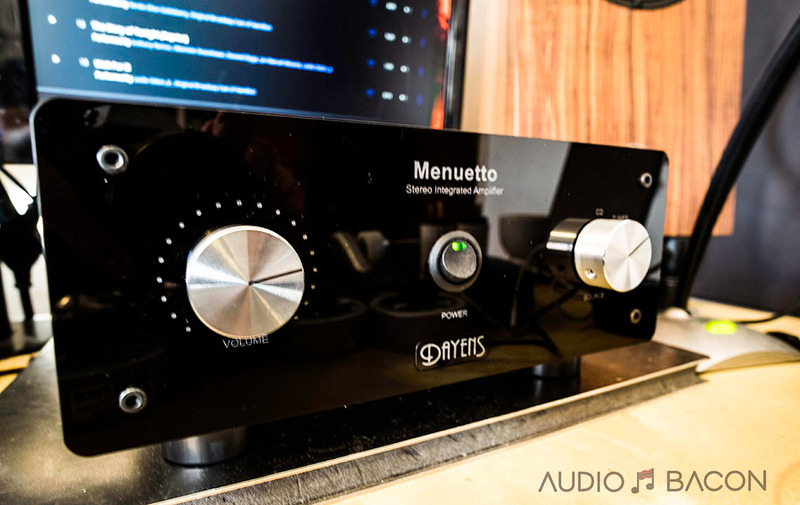 You won’t quite understand how good stereo imaging could sound unless you’ve heard the Mutec REF 10. Although you do hear how the music is pieced together, it’s not analytical at all. If anything, it relays more insight into the intent and emotions of the performers. It’s more musical. Without the REF 10, I feel like I’m missing out on important parts of the recordings. In fact, there were even times I didn’t even realize an instrument was in a busy recording until I heard it with the REF 10! 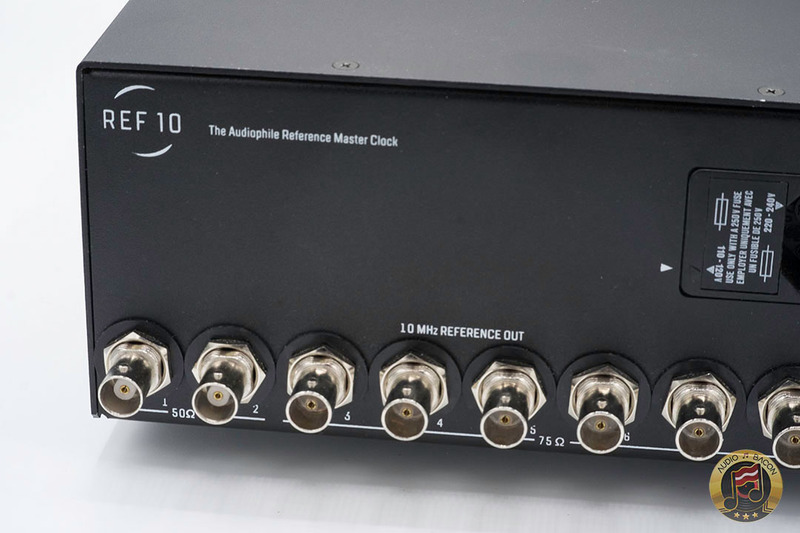 After hearing the REF 10, you’ll start to get an idea of just how congealed and dimensional digital audio could be. Well, at least you won’t need an expensive power cord or an external power supply. I’ll let you decide when you hear it. There’s something so…faithfull about what the REF 10 does. It removes the noise and confusion entirely and brings life to your to your digital library. 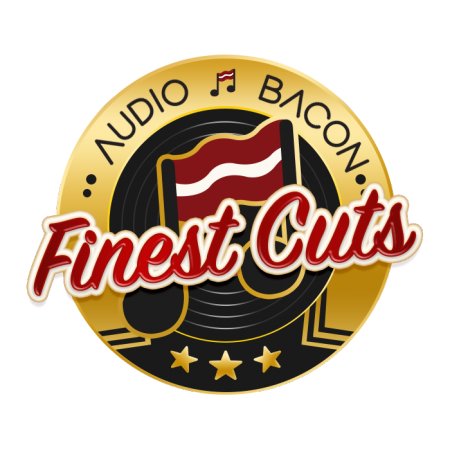 If you want to hear the best of what digital audio has to offer. 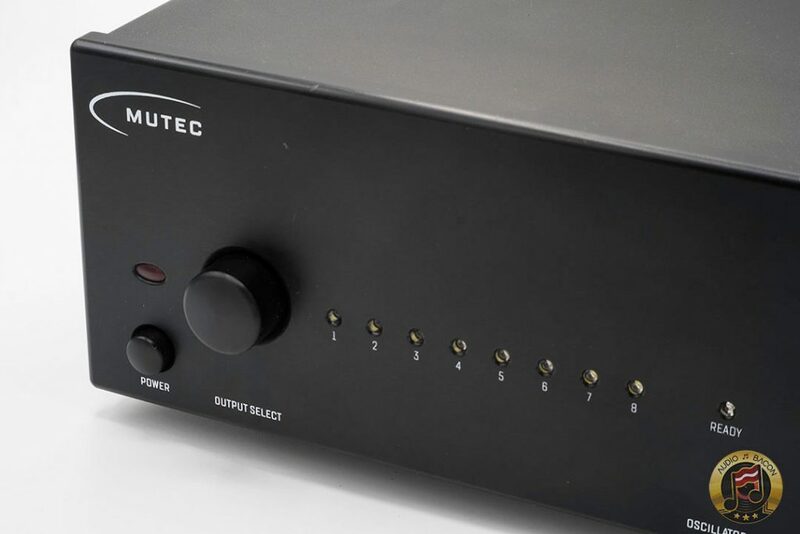 Get a Mutec REF 10 – pronto.